WHITTIER >> Whittier was a Blue city Friday. The Blue Team won the annual baseball and softball games during the 21st annual Whittier Rotary Classic at York Field. 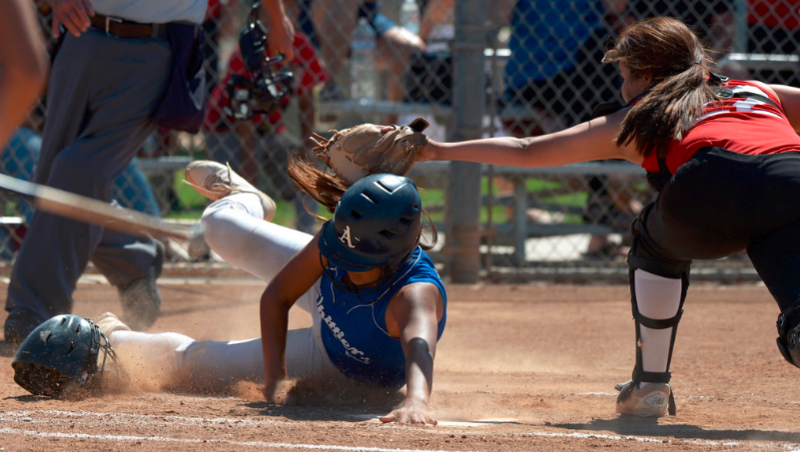 California’s Gilly Rodriguez and La Mirada’s Sal Diaz keyed the Blue to a 5-4 victory in the baseball game, with Cal’s Vanessa Ayala hit a game-winning home run to give the Blue Team a 10-8 victory in the softball game. Rodriguez, who was the Del Rio League Defensive Player of the Year, went 4 for 4 with an RBI and closed the door on the Red in the ninth for the save. Diaz had three RBIs to stake the Blue to an early 4-0 lead. But the Red refused to quit, cutting the deficit to 5-4 on a three-run home run by team MVP Isaiah Carreon (Whittier Christian) with two outs in the ninth. La Serna’s Jacob Mora followed with a bloop triple before Rodriguez ended it by striking out El Rancho’s Robert Banuelos. Diaz gave the Blue a 2-0 lead in the third with a two-run single before Rodriguez and Diaz each had RBI singles for a 4-0 lead in the fifth. The Red Team didn’t have a baserunner until the fourth, with its first hit coming on a leadoff single by Santa Fe’s Alonso Guzman in the sixth. La Serna’s Eli Martinez broke up the shutout with a RBI double to score Santa Fe’s Isaiah Gonzales in the seventh. The softball game almost ended in a tie. Then Ayala stepped up to the plate with two outs and a runner on in the bottom of the seventh. She lined a pitch from Whittier’s Alyssa Olague into right-center field for a two-run home run to secure the 10-8 win. 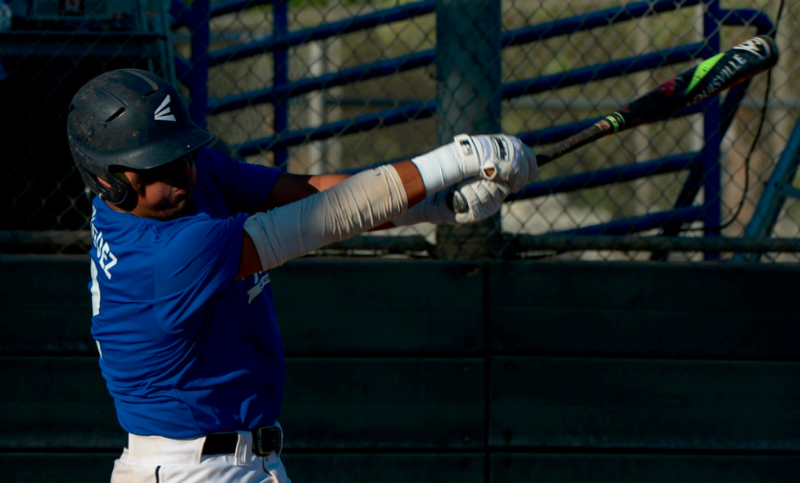 Ayala finished the game with three hits and four RBIs to earn Blue MVP. Schurr’s Sienna Perez, who hit a three-run home run to tie it at 8 in the sixth, was Red MVP. She had three hits and five RBIs. La Habra’s Kira Cauley, playing in her third all-star game of the week, also had three its for the Red, including a home run to leadoff the game. The Blue team looked like it would win easily, taking a 6-1 lead after scoring two runs in the first and four in the second. St. Paul’s Alexis Bermudez, who pithed all seven innings for the Blue, keyed the barrage with a two-run single in the second. The Red cut it to 6-5 in the fourth on a two-run home run by Whittier’s Jade Sanchez and a two-run single by Perez. Perez, after the Blue pushed the advantage to 8-5, tied it with a three-run home run to left field in the sixth. Cal’s Marissa Montesdeoca then kept the seventh inning alive with a two-out single before Ayala won it with her home run.